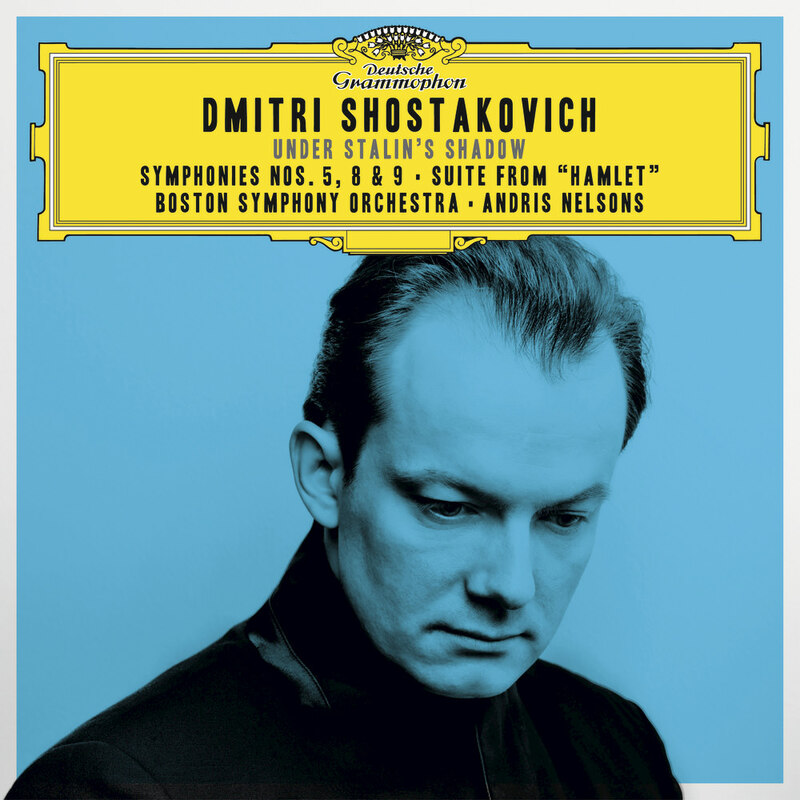 ℗ 2016 Boston Symphony Orchestra, Inc. under exclusive license to Universal Music Classics, a Division of UMG Recordings, Inc.
"... a pretty good (Shostakovich) starter kit ... also includes an example of another Shostakovich specialty, writing for films and plays ... played with insight and panache ..."
The Boston Symphony Orchestra and Andris Nelsons earned a Grammy Award in 2015 for their first volume in this Shostakovich series, entitled Shostakovich: Under Stalin’s Shadow. The five album set focuses on works composed during the period of Shostakovich’s difficult relationship with Stalin and the Soviet regime. This installment includes the popular, pre-war Fifth Symphony, the darkly compelling mid-war Eighth Symphony and the elusive, post-victory Symphony No. 9, plus excerpts from Shostakovich's incidental music for a farcical 1932 Moscow production of Hamlet. These performances were recorded in late 2015 and early 2016 at Boston's Symphony Hall, one of the world’s most renowned venues for acoustic excellence. "I could not live without the music of Shostakovich. I’m sure it has something to do with having grown up in the Soviet Union and my connection to the conducting tradition there in St. Petersburg, his hometown, where I studied. But also I feel close to Shostakovich as a person, since he was naively shy rather like myself. I can’t entirely explain why I have such an intimate relationship with his music, but I feel like I know him, in a mystical way."